As part of Diet Detective’s ongoing effort to expose the truth about the foods we buy and consume — here are a few of the manufacturers’ latest health-oriented marketing approaches uncovered. 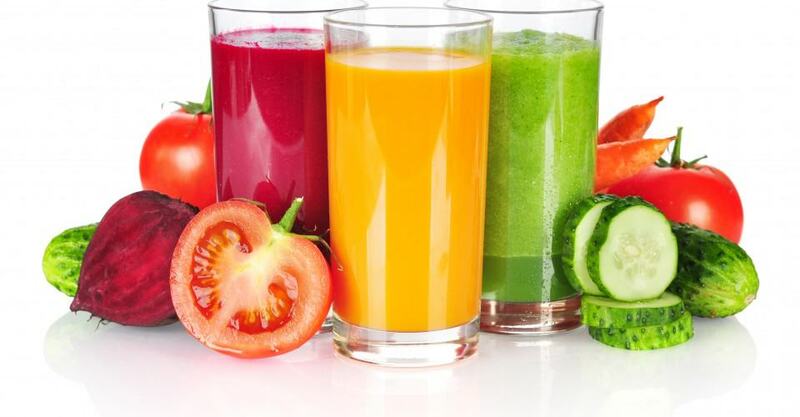 V8 Vegetable Juice: Will it help you lose weight and stay healthy? Claim: V8 Vegetable Juice provides a healthy dose of veggies, can even help you lose weight, and contains 17 milligrams of lycopene per 8-ounce serving — four times the amount found in a medium-size fresh tomato. Facts: Vegetable juice can be a convenient way to get a serving of vegetables into your diet. “A cup (8 ounces) of vegetable juice is considered a serving from the My Pyramid Vegetable group,” says Joan Salge Blake, M.S., R.D., a #nutrition professor at Boston University. “And, yes, vegetable juice has more than four times the amount of the antioxidant lycopene as a tomato, so it is a potent source for the phytochemical lycopene. For comparison, a 4-ounce cup of tomato sauce provides 18 milligrams of lycopene,” adds Blake. Fiction: As far as the V8 diet is concerned, it’s not exactly revolutionary. It’s basically a low-calorie plan that tosses in an occasional V8 juice. The company is asking you to substitute a V8 juice for a candy bar. Of course, the V8 is a better choice. 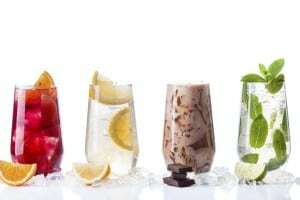 As for the diet itself, “The V8 Diet provides only around 1,200 calories daily, which is too low for most adults. At this low level of calories, it is very difficult to meet all of your daily nutrient needs. The diet is skimpy on calcium-rich, lean dairy products and fruits,” says Blake. However, V8 Juice is still pretty amazing; it has loads of vitamins and minerals and only 50 calories for 8 ounces. That’s about half the calories of most other juices, so it’s really quite a Calorie Bargain, as far as juices go. Bottom line: Relying on juice instead of actual veggies means you miss out on a great opportunity to fill up on fiber and get all the vitamins, minerals and plant chemicals naturally found in vegetables, says Zied. Wrigley’s Chewing Gum: Does chewing gum help control calorie intake? Claim: Gum helps you eat fewer calories and can curb your appetite if you use it between meals in place of a high-calorie snack or to keep from nibbling during meal preparation. Not only that but Wrigley’s is actually promoting its gum as a weight-loss product and is launching Step It Up with Extra Gum and challenging Americans to Wrigley’s Walk and Chew Gum on NBC’s The Biggest Loser. Facts: There have been a few studies related to appetite and gum chewing. One recent study published in the journal Appetite (and sponsored by Wrigley’s) showed that chewing after lunch may help you eat 36 fewer calories for your afternoon snack. Another study showed that the act of chewing may help burn about 11 calories more per hour than not chewing gum (although this study was done with only seven healthy-weight individuals), says Dawn Jackson Blatner, R.D., a spokesperson for the American Dietetic Association. However, another study conducted at Purdue University showed that gum chewing had no effect on appetite or calorie intake. Fiction: “Chewing gum will not get you bikini-ready. Although studies do suggest there may be some potential calorie savings, the studies are too small and of too short duration to tell definitively,” says Blatner. Concerns: On average, sugar-free gum provides 5 calories per portion, and regular gum provides 10 calories. “People need to be aware that gum — even sugarless gum — contains calories,” says Zied. And while it’s a positive move for Wrigley’s to promote healthy activities (such as walking), it could confuse people into believing that gum chewing can magically help you lose weight. Bottom line: The studies are weak, and if gum chewing really helped, would we be a country with more than 65 percent of the population overweight or obese? However, it does make sense that if you chew a stick of gum instead of eating or nibbling you will save calories. Breyers Ice Cream: Does “all natural” mean all good? Facts: Technically, Breyers is “all natural.” Just take a look at the ingredients in the strawberry flavor: milk, strawberries, sugar, cream, natural flavor, natural tara gum. Not bad compared with most commercial, store-purchased (or even fancy gourmet) brands of ice cream. Fiction: While Breyers may have fewer “unnatural” ingredients than the next ice cream, it’s not as “all natural” as we’re made to believe. The fact that it contains tara gum and processed sugar is a bit misleading, because these are really not ingredients we expect to find in an all-natural product. Concerns: “All natural” implies made by nature, unchanged, nothing artificial, and healthy. “Natural” is not a very trustworthy label term. While it sounds attractive, it truly doesn’t say much about the nutritional quality of the food or its safety. The Food and Drug Administration has not established a regulatory definition for “natural” even though it is discussed in the preamble to the final food-labeling regulations. The FDA’s policy regarding the use of the word “natural” is that nothing artificial or synthetic has been included in or added to a food that would not normally be expected to be in it. The same applies to use of the terms “100% Natural” and “All Natural.” The term tells you what the food is not, but that doesn’t mean it’s better for you. Bottom line: I tried the strawberry flavor; it’s very tasty, and it’s pretty low calorically compared with most ice creams — only 120 calories per ½ cup. And as far as being “all natural,” it’s better than most. Although I didn’t try it (and it’s almost double the calories), I did identify a company that does make an ice cream that’s really all natural and organic — Straus Family Creamery (www.strausfamilycreamery.com).